I know that Martin Greenberg puts together good anthologies, however there’s something about the “Fantastic” that gets tacked onto the end of each anthology theme title that puts me off for some reason. However, I’ve always been fond of Assassin characters, so I picked up the book. After the first few stories I almost gave up--the story by Tanya Huff I found confusing, and I saw the trick of Stephen Leigh's "Green Stones" almost immediately, so although it was a good story, it wasn't a great story. The same went for Kristine Kathryn Rusch's "Coin of the Realm" I knew where the story was going, so it lost much of its punch. (It's an anthology about assassins--chances are that the main character--especially in a first person narrative--is going to be the assassin. Because it's hard for the assassinated to tell their story after the fact. So that pretty much kills any surprise or twist.) However, it picked up from there. The neat little sign in my tiny office reads simply, "Alexei Danilovich," which is almost my true name. And beneath that, in smaller, precise letters: "Removal Service--Discreet and Efficient"
I would think that assassins and detectives would have quite different voices--the in-your-face bragging of detectives seems to have little place in the world of death by stealth. But here, the narrative voice just doesn't strike me as discreet. On the other hand, Teresa Edgerton's "Dying by Inches" was very good. It was quite different and not what I was expecting. Miss Odilia Rowan--with eighteen years to her name, and a world of bitterness in her heart--moved through the maze of Cour-de-Fer prison with the studied nonchalance of a long time resident. Also excellent were Jane Lindskold's "A Touch of Poison" and Michelle West's "Echoes". I particularly liked "A Touch of Poison"
Watching the plump, dark-haired young widow working up to her elbows in break dough, a dusting of flour on her cute, slightly up-turned nose, no one would have guessed that Adalia Backer had sworn to kill a man--a man who trusted her. Well, maybe I could have done without the cute nose bit, but I really enjoyed this story as well. All in all it was a good anthology, and I quite enjoyed it. There were lots of original stories, and for the most part even the ones I didn't care for were well-written, making it more a matter of taste than of quality. And I found a couple of new authors to look for as well, which is always a good thing. I love short stories, so I tend to pick up anthologies when I come across them–assuming they look even remotely interesting. 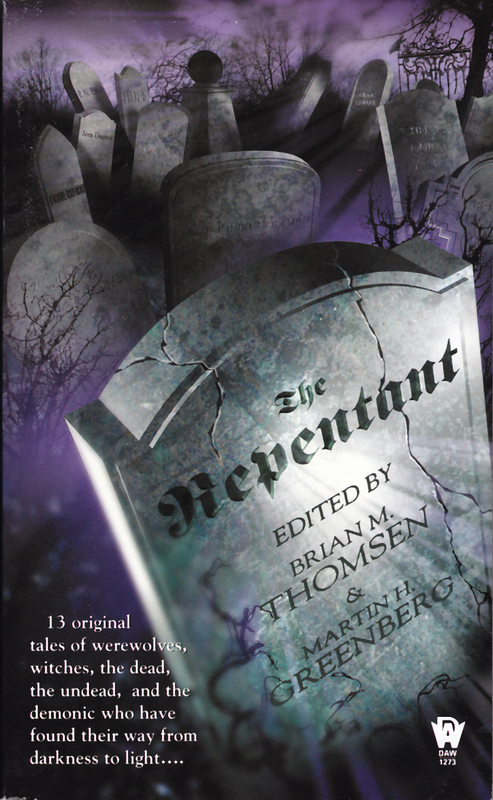 The Repentant looked particularly interesting, since it had several authors I particularly like: Tanya Huff, P.N. Elrod, and especially Nina Kiriki Hoffman. And the theme was also one that interested me: supernatural creatures. As expected, I loved the Nina Kiriki Hoffman story. Here's the first paragraph. When Dominic Cross was nine, he watched a monster his father summoned from the netherworld escape its ensorcelled circle, kill both his parents, and devour them. The demon then decided to adopt the boy and see to his magical training. However, the boy has to survive on his own, and learns to navigate the world. The idea behind the story was fascinating, and as always I loved Nina Kiriki Hoffman's writing. She always goes places I don't expect, and resolves her stories in ways I wouldn't have guessed. The anthology was worth buying for this story alone. There were several also other pleasant surprises. Jeff Grubb's story Lycanthrope Summer was an interesting twist on the werewolf tale. Even though I saw where part of the story was going, I didn't see everything, and the writing was good enough that it didn't matter. I also enjoyed Edo von Belkom's story The Den Mother. 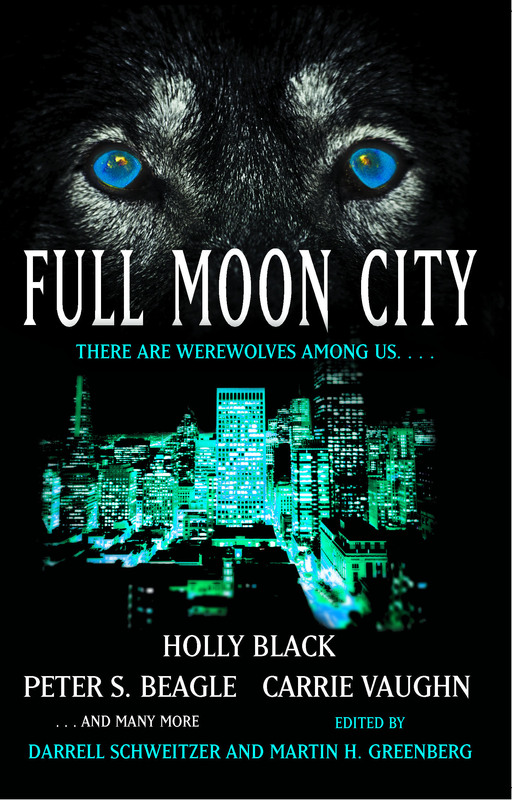 It was a werewolf/abused wife story, that went in an unexpected direction. The Tanya Huff story, Sceleratus, had Henry Fitzroy telling Tony a story of his past, and of one of his past loves, and of the Inquisition. Snarling, Henry stepped over the bodies, the blood scent wrapping around him. Prisoner of the Inquisition or not, the (man) would learn fear. He caught (the man)'s gaze with his, but to his astonishment, couldn't hold it. When he tried to look away, he could not. After a moment, the old (man) sighed, and released him. "Not evil, although you have done evil. Not anger, or joy in slaughter. I never knew your kind could feel such pain." That's actually a good summary for the anthology. The monsters are not necessarily what you would expect, and don't behave or believe in the manner you would expect. Although there were a couple of stories I didn't like, overall, it was a strong anthology with a variety of interesting and well written stories. Although I have to admit that when I see them name Martin H. Greenburg on an anthology, I'm pretty certain of liking the majority of stories. 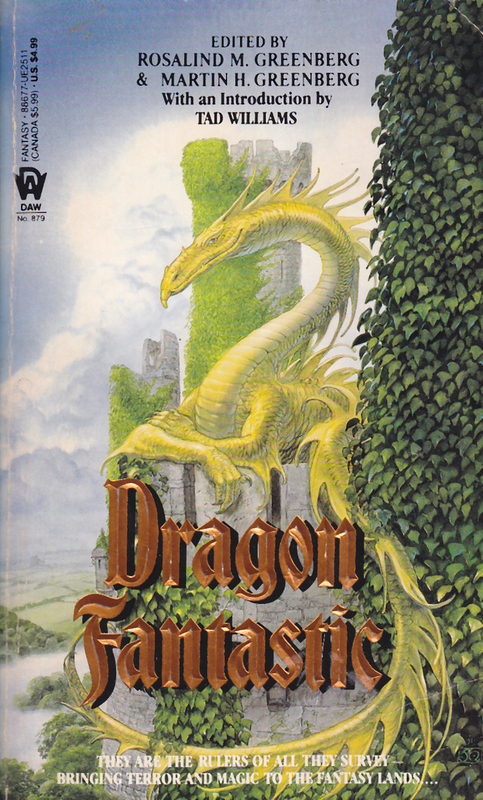 I try to pick up fantasy anthologies when I see them, since chances are they won’t be there the next time I look. I picked up Maiden, Matron, Crone while ago, but saved it to read during the school year, because short story collections are much easier to put down than books. Some of the stories in this collection were good, some were so-so, and a couple were quite excellent. And there weren't any stories that I absolutely hated, which is always a good thing. The best part of this collection, however, is that if focused on female characters, and for the most part strong female characters. The excellent category started with Nina Kirki Hoffman's story "Strikes of the Heart." From what I have read, Nina Kirki Hoffman has been very good about writing good and unusual stories. It's always good to come across the unexpected, and so far her stories have all been just that. In this story, a young woman discovers that her grandmother's magic is failing and that she is the only one who can take her place and protect the land. One of the reasons I picked up this anthology was because it contained a Charles de Lint story. "In Sight" is an evening spent with Ruthie Blue, a middle aged Newford folk musician. I suppose that's one of the nice things about books--you can have middle aged women in your stories, without someone telling you to make them younger and more attractive. I'm hoping that he will write more stories about Ruthie Blue, because I found her a very interesting character. Devon Monk's "Bearing Life" was another story with a middle aged hero, this time, a queen who has lost her children and her husband, and rules alone in a besieged country. I like the way that Queen Thera dealt with her problems, and I liked the story, even though the very end wasn't a surprise. 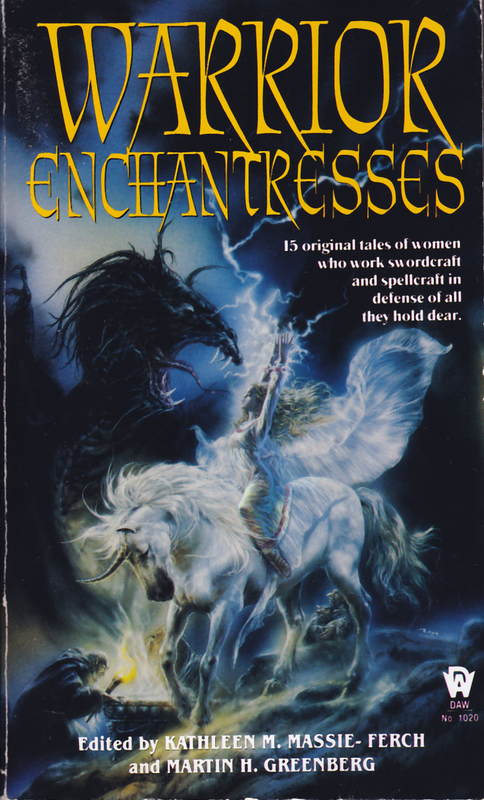 Also good were Fiona Patton's story "The Three Gems of the Fianna," which read a bit like the Celtic tales I like so much, and Alexander Potter's "Opening Her Door," which was a twist on the tales I typically find in female centered anthologies. The concluding tale, "The Unicorn Hunt" by Michelle West was very good. I'm pretty sure that I have one or two Michelle West books around here, and I think I'm going to have to find and read them. As I have mentioned on many previous occasions, I am a huge fan of short stories. 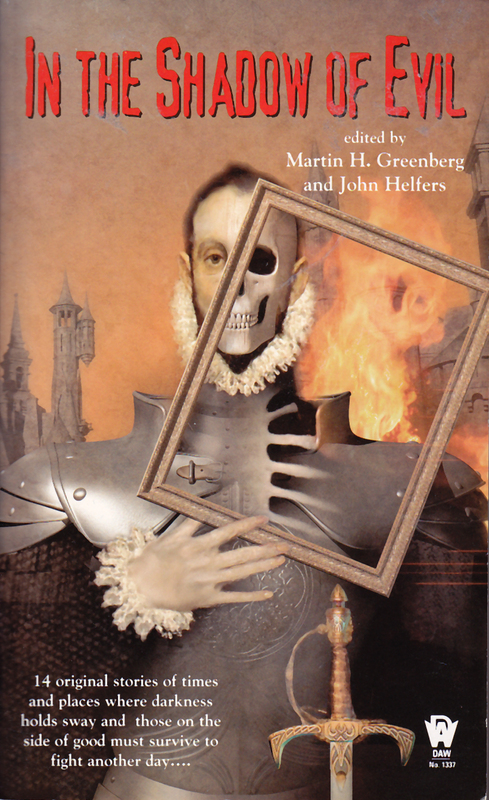 Occasionally I have been disappointed, but for the most part the anthologies I have read have good, especially the one edited by Martin H. Greenberg. Unsurprisingly (at least to me), my favorite story in the anthology was Nina Kiriki Hoffman’s story “The Weight of Wishes” (in fact, the fact she had a story in this anthology was part of the reason I picked up this book). 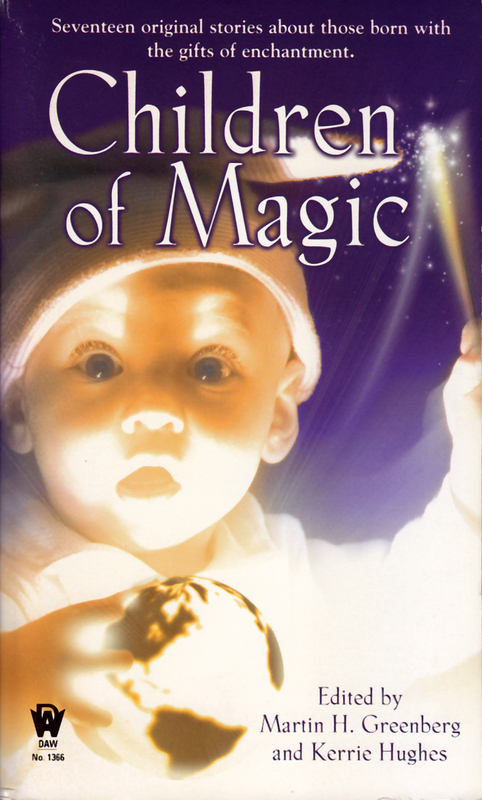 Will and Beth have two children, one of whom is a magic user and is barely under control. But on Christmas, Lisa’s powers create unexpected gifts for her entire family, that may change not only Lisa’s ability to control her magic, but also the family’s ability to deal with Lisa. “Touching Faith” by Alexander Potter was another story I liked, especially when the boy decides that his path will require a Southern accent. Another very good story was Brenda Cooper’s “The Horses of the Wild Hills”. Carly tries to protect her mother–from herself as much as far everyone discovering her drinking, but she also has to protect and care for herself–something an eleven year old girl is not necessarily capable of doing. What I particularly liked was Carly’s discoveries not only about the world, but also about her self and her strengths and weaknesses. “Titan” by Sarah A. Hoyt was another story I very much enjoyed. It tells how Leonardo da Vinci gained his powers, from the point of view of one of Leonardo’s childhood friends. So if you like anthologies, you may want to pick up this collection. 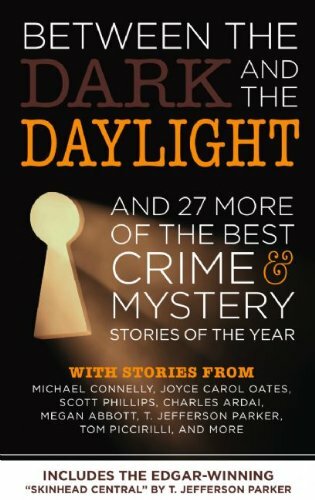 Or you could wait and see if any of these stories ends up in a “Year’s Best” collection. I really like short stories, so I’m a sucker for anthologies. I’ve been burned a couple of times, but for the most part, anything that Martin H Greenberg has a hand in will most likely contain a majority of stories I’ll enjoy. The fact that the stories were about assassins was an added bonus. (For some reason I love to read about characters I would want absolutely nothing to do with if I read them in life: assassins, thieves, and scoundrels. Places to Be, People to Kill contains all three. As with most anthologies, there were some stories I especially liked, and some I cared for less. Bloodlines by Jim C. Hines was one of the story I particularly liked. It somewhat uncommon to find a man who does a decent job of writing a female protagonist, but Jim Hines did a pretty good job with Valerica, especially since she turns out of be a complex and somewhat flawed character. I especially liked the part that the role of destiny plays in this story. As a firm believer in free will, stories that question the idea of destiny I always find particularly interesting. Sarah A. Hoyt’s story While Horse and Hero Fell was one I particularly enjoyed–it’s a mix of science fiction and fantasy, and I especially loved the idea of a computer wizard. Sometimes geeks have what it takes to be people of action. It just takes the right motivation. Substitutions by Kristine Kathryn Rusch was another story I liked. It’s somewhat of a supernatural fantasy, only it focuses upon the more spiritual aspects of the supernatural rather than the creepy crawlies. I also like the idea of death outsourcing to multiple individuals to help cover the work load. Fealty by S. Andrew Swann was a rather strange story in some ways–a cross between horror and medieval history almost, it also touched on the nature of good and evil, as well as forgiveness. Although it meandered a bit, John Marco’s story The Hundreth Kill was both interesting and well done, even though for awhile I feared it was going to go to a place I really didn’t like. And finally, I very much enjoyed Tim Waggoneer’s story All in the Execution, which started out making me think it was one thing, and ended on a completely different level. Although it had a slight Asian feel to it, it was not a particularly Asian story. But it was a particularly good one. 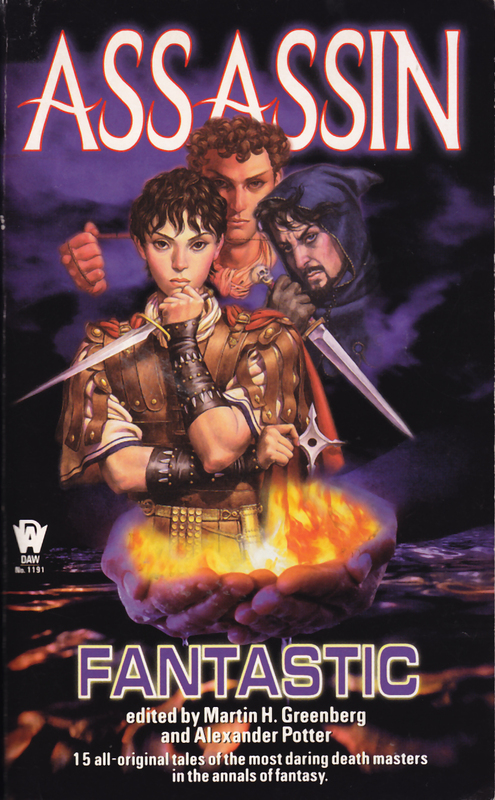 Although the cover isn’t bad, I just am not convinced that the boy on the cover is an assassin. He’s slouching in such a way that makes me think of moody teenager rather than stealthy cold-blooded killer. But really, that’s picking nits, since the overall feel for the anthology was correct. 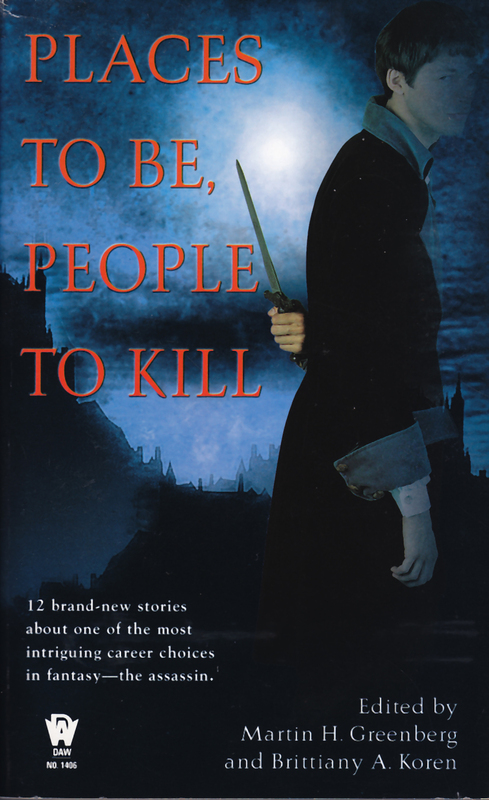 If you enjoy short stories–especially short stories about scoundrels and assassins, then I recommend that you check out Places to Be, People to Kill. 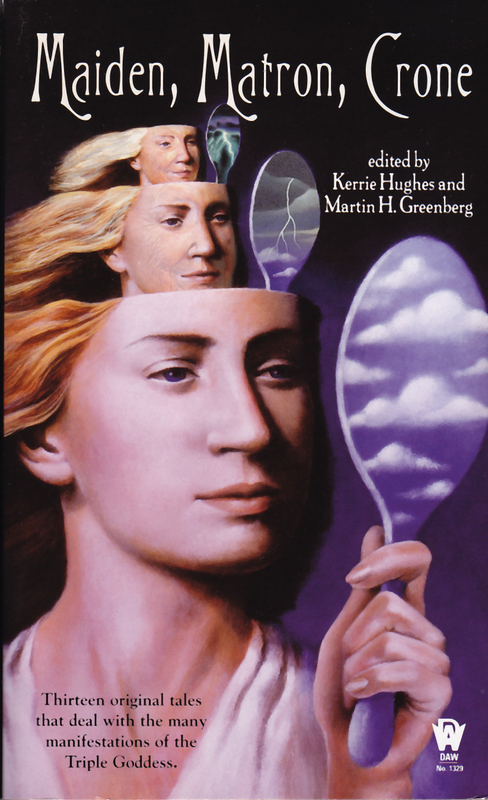 Anthologies edited by Martin H. Greenberg are usually ones I can pick up knowing that I’ll like the majority of stories within. This volume? Not so much. There were a handful of stories I thought were good, but for the most part? Meh. “A Grain of Salt”–the first story in the book–was one I did like. It reminded me of Liz Williams‘ Detective Inspector Chen stories, not just because it was Chinese in flavor, but the underworld was in many ways like Liz Williams’ hell. Alan Dean Foster’s story “Ah, Yehz” was one that I particularly liked. Lots of the stories in this anthology had twists at the end, but for the most part that was the whole of the story–working up to the punchline in the end. But “Ah, Yehz” was interesting in and of itself, and for the brevity of the story, had some nice world building. Archie is caught stealing from a fountain in the cemetery by one of the ghosts. While trying to escape he meets an unusual fellow who is willing to help him. Irene Radford’s “Museum Hauntings” was another story that was well done from start to finish. I liked the main characters, and the focus wasn’t on the twist at the end, but upon the development of the two characters. Cute and fun. As always, I liked the story by Nina Kiriki Hoffman, “My Tears Have Been My Meat.” Sometimes dead isn’t always dead, and your friends and enemies are hard to tell. 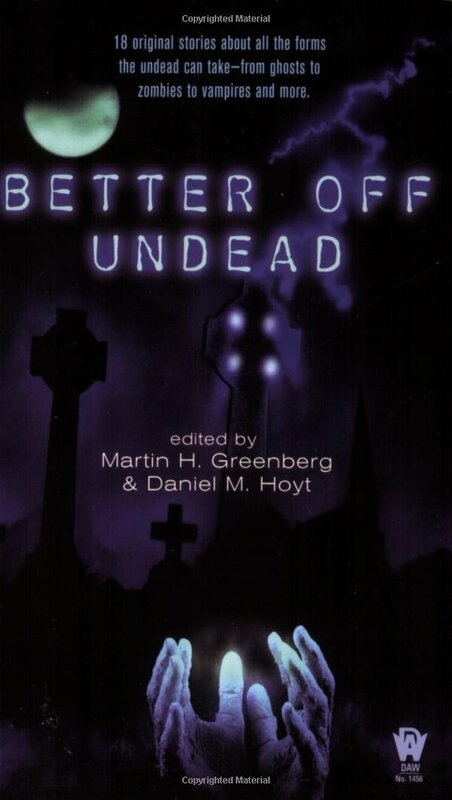 I loved the idea of Jay Lake’s Unrapture in his story “Two All Beef Patties.” I’m generally not fond of zombies, but for a zombie story, this was quite good. And… that was about it. Like I said, most of the stories were meh, and some I actually disliked, but if you come across any of the above in another anthology, I highly recommend them. I generally love mystery anthologies, but I had a hard time with this one. First and foremost, the collection is full of unreliable narrators. I have absolutely nothing against unreliable narrators, and usually enjoy them, however, when you read story after story where the narrator is actually the killer, it quickly becomes unsurprising, and I wasn’t interested in reading all the various justifications the murderers and criminals gave for their actions. That said, there were some stories I enjoyed, but overall, I just wanted to finish the anthology so I could move onto something else. I love anthologies. Though I have to admit that with the way paranormal romance has taken off, the ratio of wheat to chaff has been unfavorable for me. 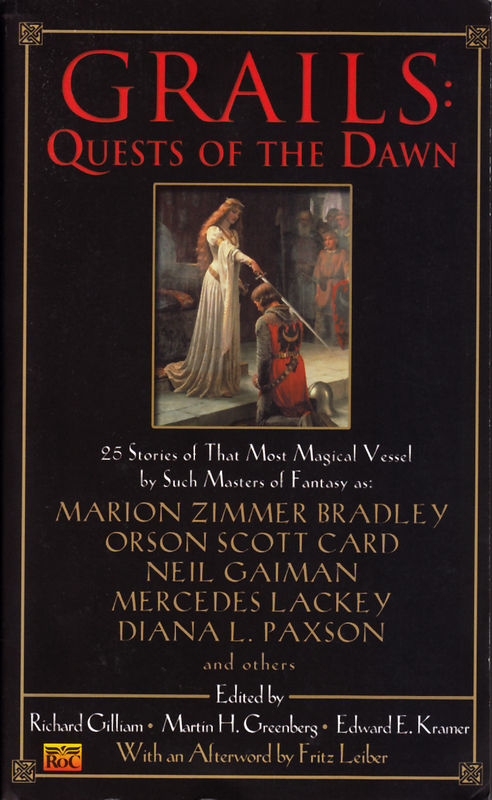 However, Carrie Vaughn and Peter S. Beagle were pretty compelling reasons to get this anthology. Esther M. Friesner’s story, “No Children, No Pets” was strange and odd, but I still enjoyed it. After all, there aren’t that many werewolf stories with six year old narrators. Country Mother’s Sons by Holly Phillips was another story that stayed with me, although I still cannot decided if I liked the story or not. War widows and their sons are a very depressing theme, however, the story was well done, and pulled me in. “A Most Unusual Greyhound” is the second Harry the Book story by Mike Resnick I have read, and I thoroughly enjoyed it. Although the main character is (of course) a bookie, it has the tone of a hard boiled mystery, and also refuses to take itself seriously. Once or twice it almost stays into camp territory, but veers back into fun and entertaining. After all, the idea of a werewolf entering the races at the dog tracks is an amusing one. Holly Black‘s story, “The Aarne-Thompson Classification Revue” was another odd story. A werewolf girl trying to make it in the big city. I liked it, even though I was never quite sure where it was going. “I Was a Middle-Age Werewolf” by Ron Goulart was another fun story that was quite enjoyable–a middle-aged man in Beverly Hills is suddenly changed into a werewolf. 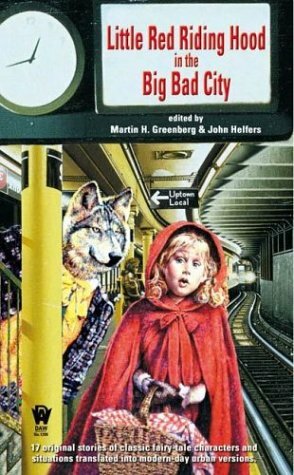 The main character was not particularly likable, but it was, as I said, fun, as was Darrell Schweitzer’s “Kvetchula’s Daughter” which might have had a slightly more surprising ending had it not been in an anthology about werewolves. But the idea of Jewish vampires totally makes up for the end not being surprising. 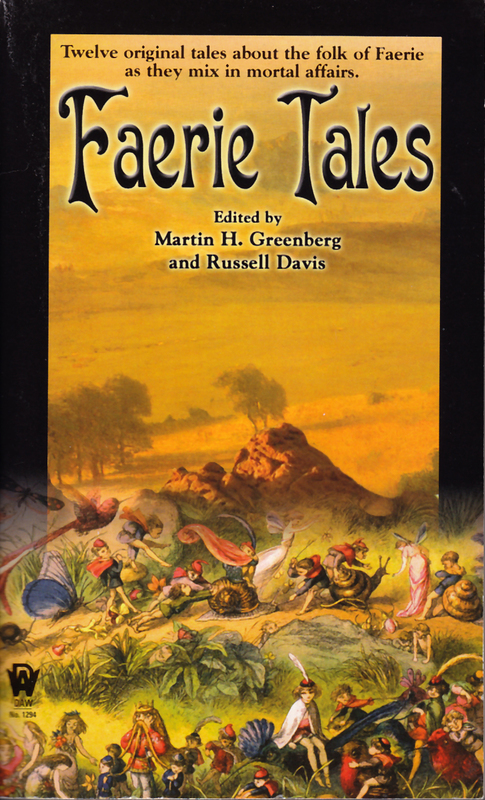 And the anthology ended on a very strong note, with Peter S. Beagle‘s story “La Lune T’Attend.” It took a bit to fall into the speech patterns of the main characters, but in just a few pages, I fell in love with Arceneaux, the grandfather who also happened to be a loup-garou. Seriously. The story is about two grandfathers who have been best friends all the lives, and who also happen to be werewolves. It was the perfect ending to the anthology. Although there were several stories I didn’t particularly like, but all in all, the stories that were good were very good, and well worth the price of the anthology. I wouldn’t say the best necessarily, but it’s not a bad selection of stories. And the fact that I got to read it for free probably helped. “Appetite for Murder” is Simon R. Green story that does not feature John Taylor or Eddie Drood, but is set in Nightside. If you have never read a Nightside story, this would actually be a decent introduction to the place. If you enjoyed this story, I’d recommended the Nightside books. If you have read the Nightside series, one twist won’t be much of a surprise, but the other… Sam Warren has been a Detective in the Nightside for a long long time. He’s worked for the Authorities, and finds killers who manage to step out of line even in a place where murder is cheap and easy and all but expected on every corner. Patricia Briggs‘ story, “Star of David” is set in the same world as her Mercy Thompson series, but as with Simon R Green’s story, does not feature the main characters from that series, and again, works as a very good introduction to her world. Stella helps place kids in foster homes, and when it’s reported that one boy she’s placed has attacked his foster parents, she thinks something is wrong, and turns to someone she said she wouldn’t call, to help he resolve the problem. “Grave-Robbed” is one of P.N. Elrod‘s Jack Fleming story, but like other Fleming stories, does not require a knowledge of previous books, and (as with the previous two stories) is a good introduction to that world. A (very) young woman comes looking for Escott, but gets Jack. Because she needs immediate help, she decides to accept Jack’s assistance. Her sister has fallen prey to a medium who is taking her for everything she’s got, and it looks like he wants to marry the wealthy window. Jack’s client wants this scum exposed before her sister ends up even worse off. I’ve read several other of Mike Resnick’s Harry the Book stories, and was disappointed that I couldn’t find any others. Apparently Harry only lives in short stories, like “Occupational Hazard.” Harry is a bookie, and when one of his client puts in a hex that goes over Harry’s hex protection, Harry is in deep trouble. I love Nina Kirki Hoffman‘s stories, so stumbling across on is always a pleasure. Terry is a witch, and although she practices some black magic, she still lives with her mother (although she is forbidden to practice in the house). She sells spells and makes plenty of money, but just doesn’t want live alone, and aside from her magic practice, she gets along fine with her mother. As with all her stories, I love the various twists. “Doppelgangster” is similar to (but not the same as) Laura Resnick‘s book Doppelgangster, and I think I prefer the story without Esther (the main character in the book). Max Allen Collins’ story, “The Night of their Lives” was one that surprised me into liking it. It’s set during a great Depression, and a cop goes undercover into a shantytown to see if he can find out who has killed 11 of the down-down-on-their luck. I really liked this story, for a variety of reasons. Norman Partridge’s “Road Dogs” was an odd story, but one that I enjoyed once I got into it. Glen Barlow comes into town when he learns that his sister has died. Glen believe that her boyfriend is behind the murder, and there is no convincing him otherwise. 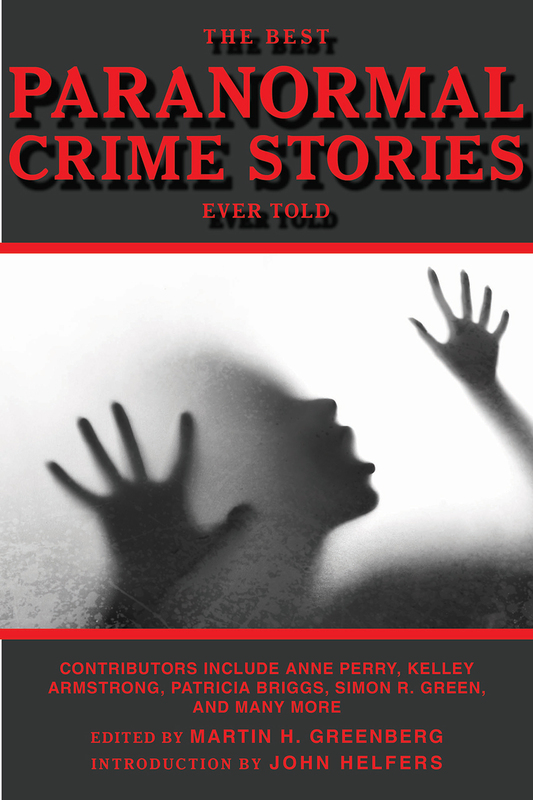 Kelly Armstrong‘s story “Staked” has the same characters as her story “Bitten” but like most of the other stories in this anthology, is accessible without having read any other of her stories. It’s not a bad story, but it wasn’t my favorite. Kristine Kathryn Rusch‘s story “Corpse Vision” was one of the darker stories. Joe is slowly drinking himself to death in Paris, while working for a newspaper instead of writing his novel like he wanted to. This story takes awhile to get going, but it is quite good once I got into it. I suppose the problem with anthologies is that when a story has a very different tone from from the one before it, it takes a bit to settle down and figure what’s going on. I only actively disliked one story, “Ninja Rats on Harleys” which was just a whole bunch of WTF and was the one story in the collection that felt like a chapter out of an existing book rather than a whole and complete story. There were a couple other stories in the collection, but I didn’t love or hate them, so all in all, this was a pretty strong collection.